In need of jeans or boots to work in...to go to a hoedown, I guess? 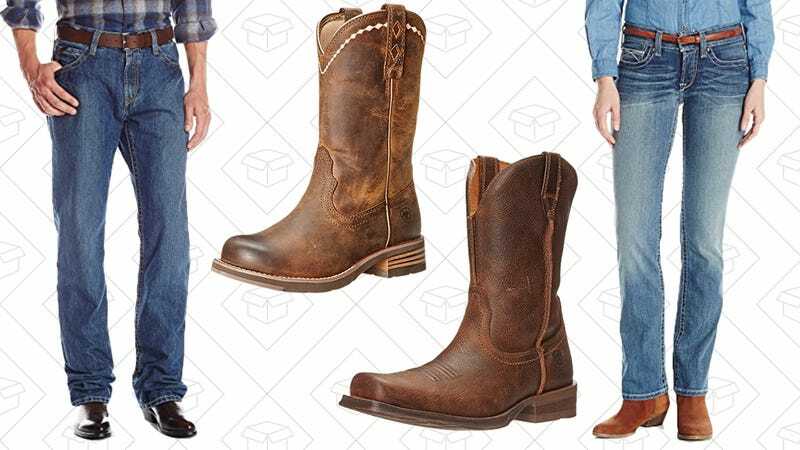 Either way, if you’re in need of a sturdy pair of boots or a hefty denim jean, the Ariat one-day sale on Amazon is your answer. Everything is under $100 and will help you go from the mountain range to the ranch.